A federal district judge has suggested he may ask to review the redactions made to special counsel Robert Mueller's report before it's made public. Attorney General William Barr is the one making those redactions, with guidance from the special counsel. The nearly 400-page report looks into possible collusion between Russia and President Trump's 2016 campaign. Barr released a summary of Mueller's principal findings last month. It said Mueller's investigation did not find evidence of collusion, but that it did not come to a conclusion on whether the president obstructed justice. Democrats have said they want to see the full report for themselves. BuzzFeed News is fighting to have the full report released under the Freedom of Information Act. In court Tuesday, Federal District Judge Reggie Walton said: "Obviously there is a real concern as to whether there is full transparency. The attorney general has created an environment that has caused a significant part of the American public to be concerned" about the redactions. 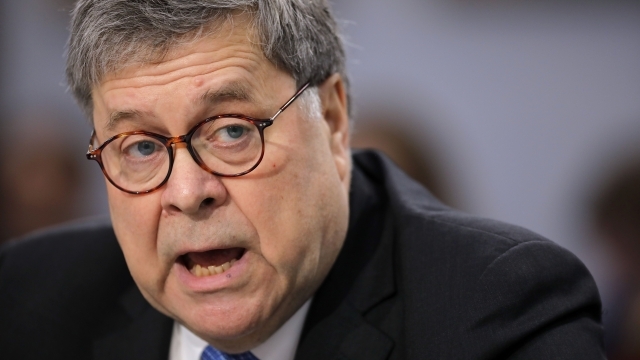 Barr is expected to release the redacted version to the public and Congress on Thursday.